We’re a family owned and operated restaurant in Las Vegas, Nevada. We started with one location and have grown to Five! We’re passionate about breakfasts and we deliver on our motto which is great service and home cooked meals! So stop by and try one of our specialty skillet breakfasts or our home-made coffee cake that has become a favorite of the locals here. There are some who say that breakfast is the most important meal of the day, but we are fond of saying that breakfast is the most delicious meal of the day. You can have all of your favorite foods and drinks at breakfast and start the day with the best feeling possible. 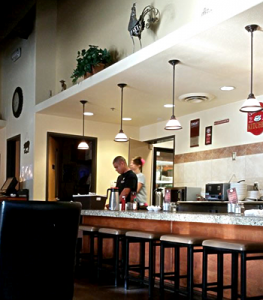 Whether you are a steak and eggs kind of person, or you prefer your bacon and hash browns, there is no better restaurant in Las Vegas to get your early morning fix than The Cracked Egg. Additionally, if you prefer to skip your lunches you can replace it with a breakfast meal instead. We serve our breakfasts all day long, just for you. 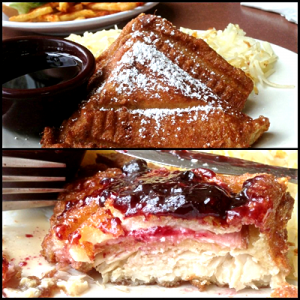 If your mouth isn’t watering just looking over our menu then take a look at one of our favorites – our incredible Monte Cristo sandwich. You don’t find them many places anymore but we serve them up daily! Although we’re known for our incredible breakfasts, we also have a great menu with lots of choices for lunch. With delicious homemade soups and salads as well as a great selection of sandwiches to choose from. Stop by and see us at any of our convenient locations and we’ll make sure you leave feeling fully satisfied! Copyright © The Cracked Egg. All Rights Reserved.